Dr. Kaustubh Phanse brings 15+ years of technology and product innovation in the field of wireless mobile networks and cloud applications. He serves as the VP, Office of CTO at Mojo Networks. 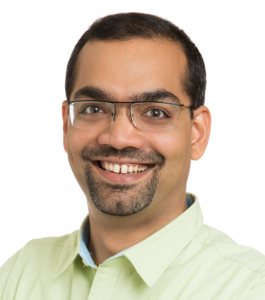 Since joining Mojo Networks in 2007, Kaustubh has made significant contributions across multiple functions, including R&D, product management, technical and product marketing, branding and visual communication and UI/UX design. Prior to joining Mojo Networks, he was Assistant Professor at Lulea University of Technology and Research Fellow at Uppsala University, both in Sweden. Kaustubh holds B.E. in Electronics and Telecommunications from University of Mumbai, India, and M.S. and Ph.D. in Electrical Engineering from Virginia Tech.